Our first Playdate where you have a chance to be a guest star for our Third Release to play along with The Talent ends today Monday, March 31, 2014. Enter to win! Our March monthly giveaways end today Monday, March 31, 2014. These include join in to win!, #wwcraftcompanion and blog blinkie. You could win a stamp set of your choice. Who doesn't love that? 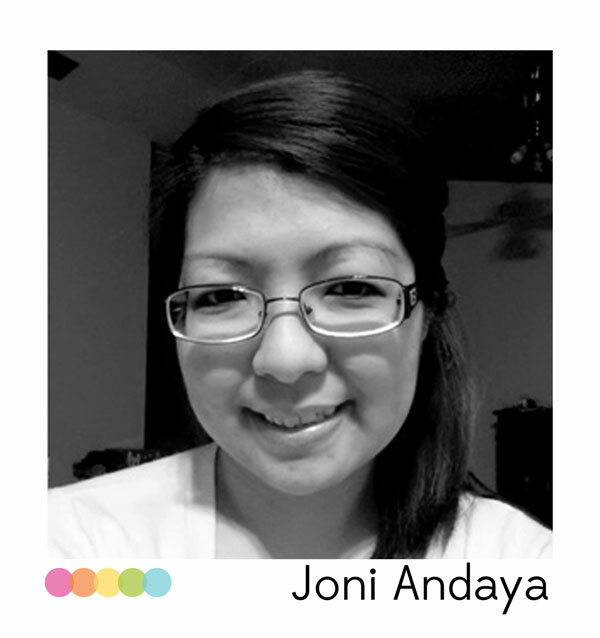 Our next spotlight is on one star-bright and dazzling talent, Joni Andaya. Joni may well have a golden touch when it comes to creating as whatever she makes is gorgeous. 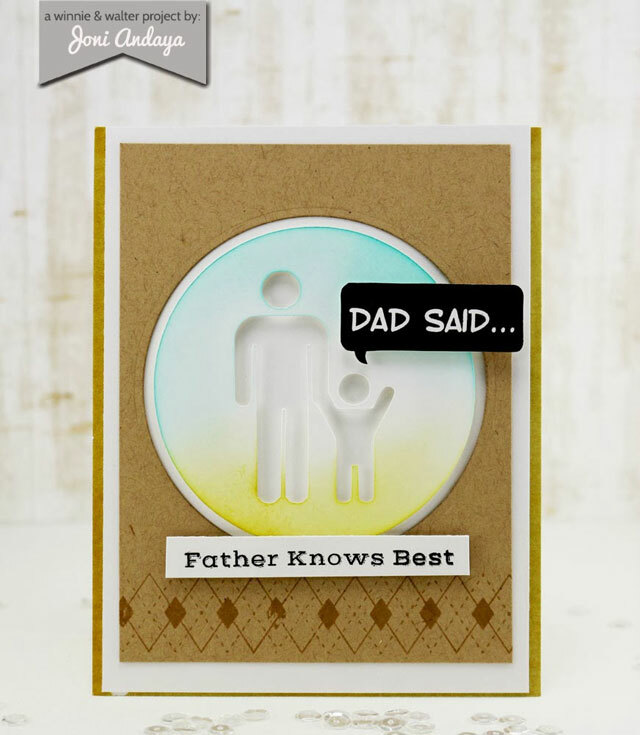 She's a rising star in the stamping world for good reason (look at her exciting news)! Wait until you see all of her Second Release projects together! We knew Joni had pretty mastered, but Joni also has guy cards master too! 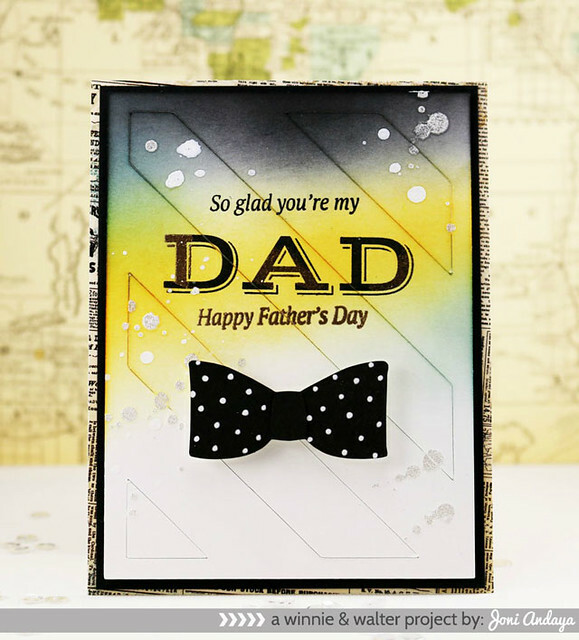 Look at how she used a great palette of black, grey and yellow along with patterns to create this visually exciting card. By stamping the wallet and shoes in pale grey and coloring in bits of it they look more like drawings than stamps. And her use of the diamond border frames the sentiment and cluster of images all from Parentville perfectly. The little touches of stars from Scenery: Big Bang Confetti is awesome. And with the fun angle at the bottom she gives everything a trendy twist. 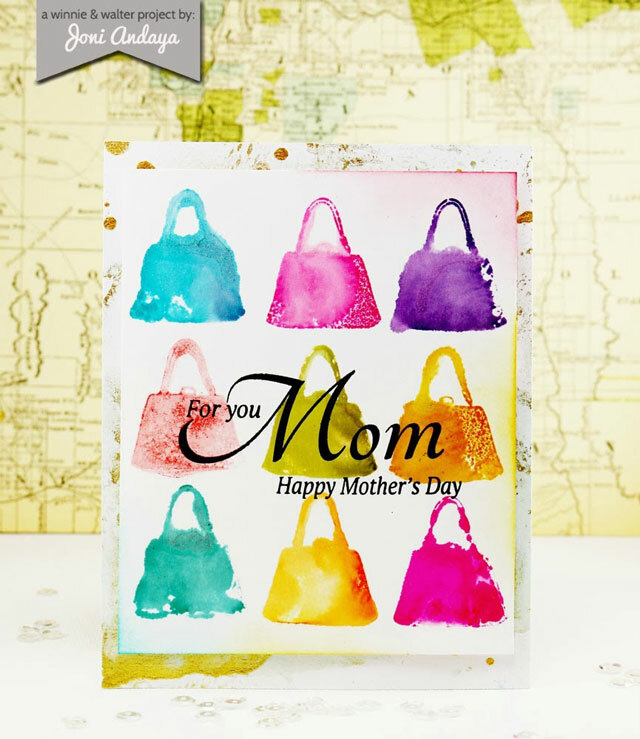 This card by Joni is so much fun with it's punchy colors and watercolor effect using Parentville! 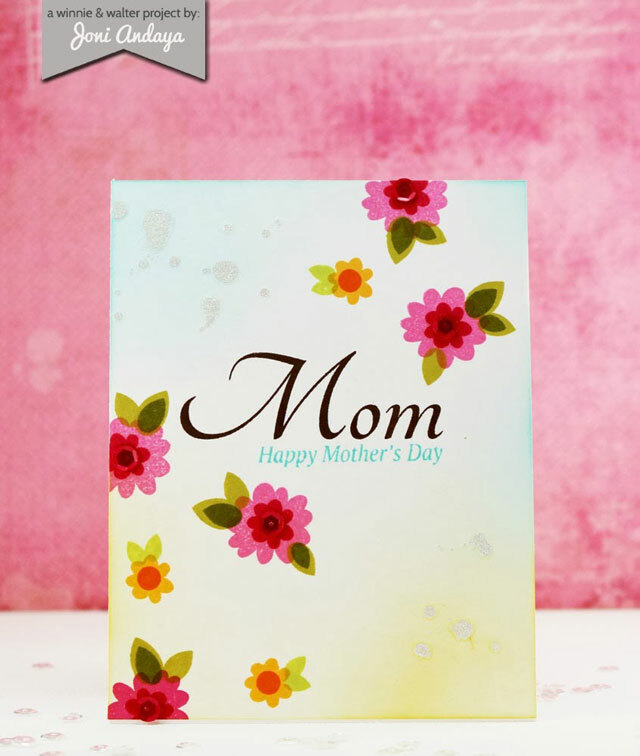 The card feels fresh, flirty and modern and would be perfect for the young or young at heart mother. A stunner! Joni really hit this Parentville card out of the park. 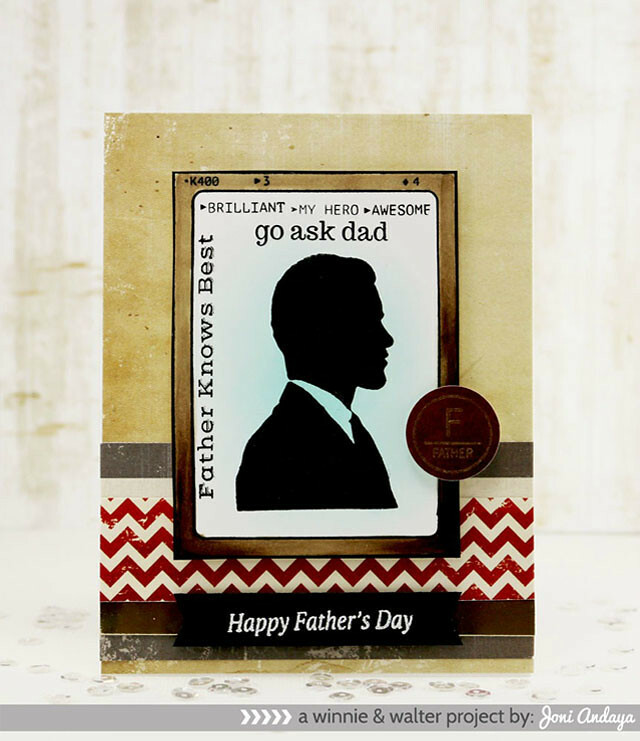 It plays up traditional dad images and with some wonderful inking along with use of the Parentville cut files and Cut File Basics Vol. 1 she dialed up the cool factor to 11! She also customized the bow tie die with some polka dots. So dapper! Delicate and lovely this gorgeous card by Joni pairs Parentville with The Write Stuff: Leave it to Mom stamp set and The Write Stuff: Leave it to Mom cut files. Love the stamping of the shoes in a light color and lightly shading it in! The use of the doily embossing folder with the images along with the fact that Joni adds some color here and there to highlight the texture and design is so very smart! CLICK HERE to see Joni's post about Parentville. Here is Joni making The Big, the Bold and You pretty by masterfully building her own flowers using the leaf image from The Write Stuff: Leave it to Mom. Sigh! She paired the leaves and flowers with the circles from Scenery: Big Bang Confetti. 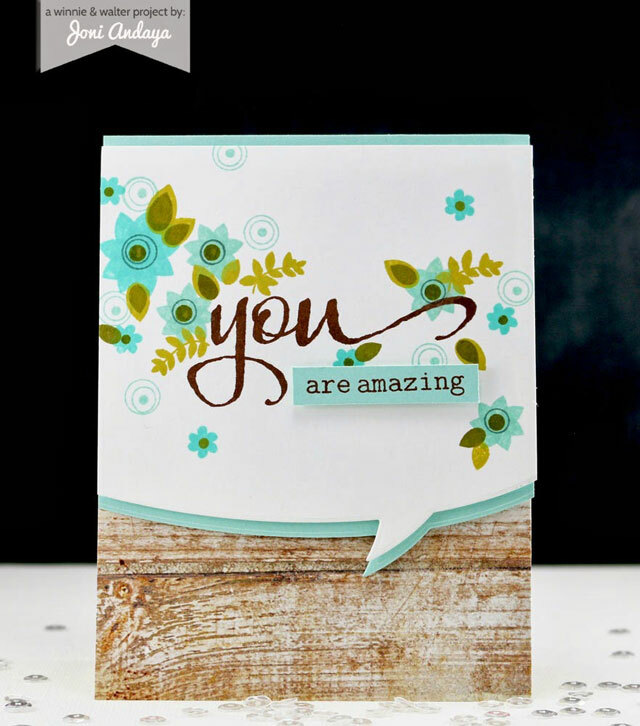 She made the "are amazing" sentiment pop by stamping on a colored piece of cardstock and adding dimensional adhesive. The wood grain patterned paper and use of speech bubble border die finish off this card with trendy goodness. 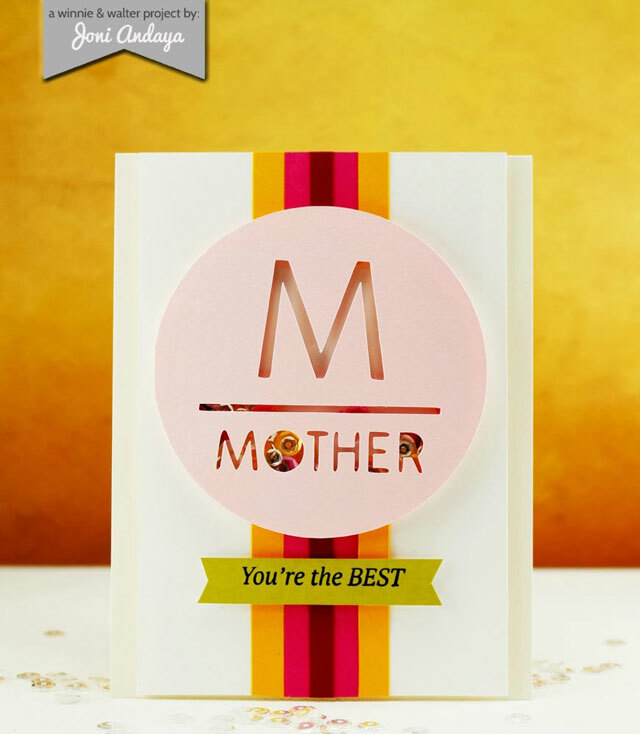 This thanks using The Big, Bold and You is like a breath of fresh air with rich fruity color and those flower clusters from The Write Stuff: Leave it to Mom and the circles from Scenery: Big Bang Confetti that Joni is so fantastic at! The horizontal stripes are lovely and the pink bow from The Write Stuff: Leave it to Mom is such a sweet touch. The tilted background gives this card an added flair. Fantastic! CLICK HERE to see Joni's post about The Big, the Bold and You. Man, this is such an attention grabber! Joni makes the father and son cut file from The Write Stuff: Leave it to Dad stand out by making it the star of this card and the faint inking adds a touch of color. Finished off with sentiments and the argyle border from The Write Stuff: Leave it to Dad this proves Joni does guy cards with panache. This is one handsome card! Joni used so many of the sentiments along with the silhouette framed by the frame from The Write Stuff: Leave it to Dad. The light inking on over the silhouette is such a great touch. Her coloring in of the frame gives it so much depth and interest. She accents this all with the father circle from The Write Stuff: Leave it to Dad and the sentiment from Parentville. This is all placed on strips of patterned paper. So very charming! CLICK HERE for Joni's post about The Write Stuff: Leave it to Dad. With the use of the The Write Stuff: Leave it to Mom cut files blown up large, Joni made this spectacular shaker card. 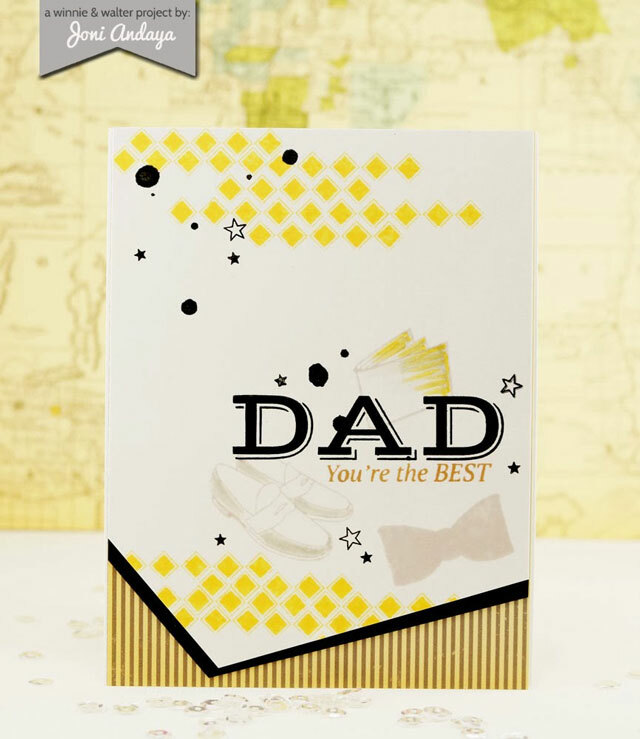 The colors are luscious and the little banner with the sentiment from Parentville completes this clean and simple card with such a huge presence! One layer wonder here! 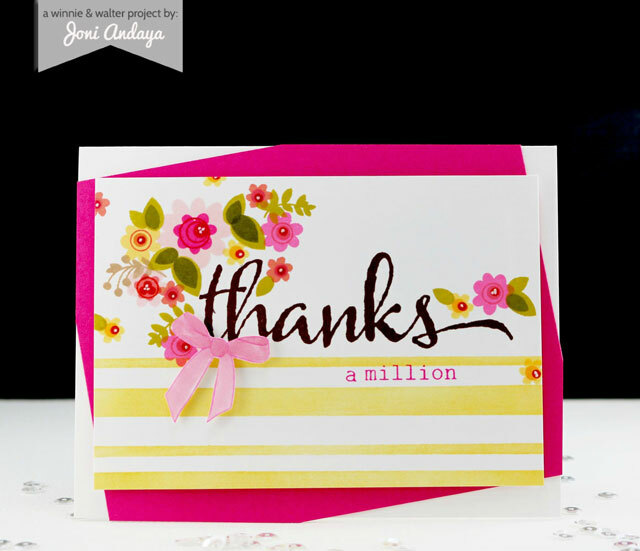 This card may be one layer, but it has plenty of depth and interest thanks to Joni's flowers, use of color and inking. She uses the flowers and leaves from The Write Stuff: Leave it to Mom along with circles from Scenery: Big Bang Scenery to create these fabulous florals. The sentiment come from Parentville. So pretty! Ah, talk about beautiful! Joni made this amazingly pretty white card with dainty hints of color using The Write Stuff: Leave it to Mom stamp set and The Write Stuff: Leave it to Mom cut files. 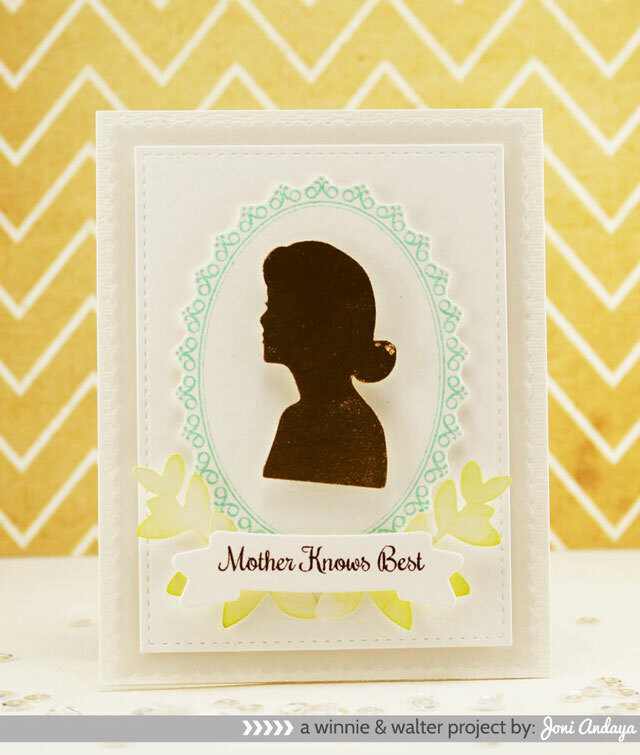 The crowning glory of the card is the mom silhouette cut file that Joni then embossed with gold. See golden touch! CLICK HERE to see Joni's post about The Write Stuff: Leave it to Mom. Overloaded with spectacular beauty and inspiration? Yep, we feel you. Our deepest thanks to Joni! Please make sure to share your love with Joni here and on her blog HERE. Check back soon for the last but not least spotlight on the wonderful Heather Pulvirenti! Such inspiring work Joni!! TFS :D and congratulation on your new gig too! Awesome cards and I love how you used the colors & stamps! Joni is so totally AWESOME.. i am so inspired by her.. LOVE everyone of these cards..
Fabulous cards Joni. There is so much excitement and joy in your cards and of course, the stamps are delightful. These are downright awesome, Joni! They are all beautiful to look at but my favourite is the one with the little boy yelling 'Dad Said'. So cute! Joni's style is AMAZING! I <3 her work! Julie + Playdate No. 1 = Awesome! Second Release Giveaway Winners Revealed!